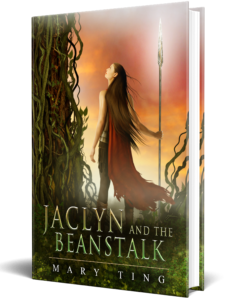 We’re getting close to the release date of Jaclyn and the Beanstalk. Release date: 9/4/2018. I can’t wait for you to read Jaclyn. This book was the most difficult book I had written to date. Doing research on old language took a bit of my time, and it was not easy to write. But I was determined to make it work, especially when I felt the story should be based on the 16th century. Below is a teaser from Jaclyn and the Beanstalk. Please excuse the format. Enjoy! 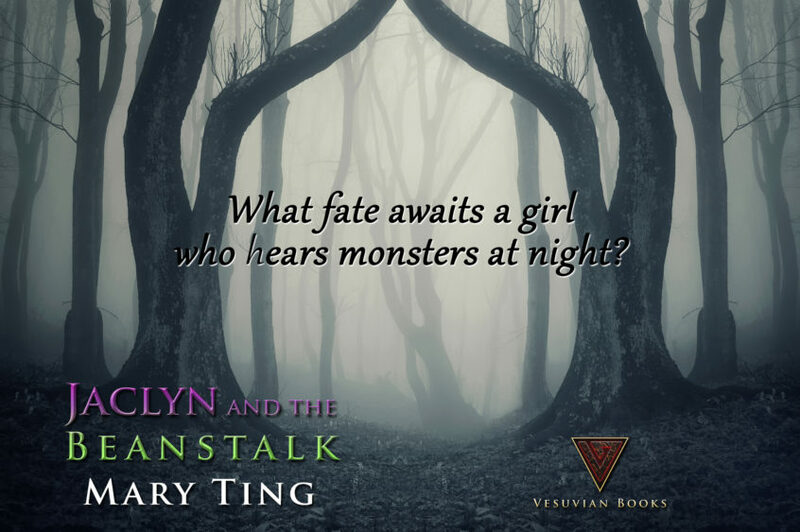 Three things you need to know about Jaclyn and the Beanstalk. 1. It’s been optioned by Boilermaker Entertainment. Shrieks rent the peaceful night. I bolted upright and gulped air as if I had been under water too long. My heart raced as a white, ghost-like mist escaped my panting mouth. Despite the chill, sweat trickled down my forehead and dampened my back, causing the fabric of my chemise to stick. I squinted through the darkness; moonlight faintly illuminated the storage chest and a nub of a candle was atop the plain table. In my room—safe. But my heart did not slow, for the cries still echoed in my mind. Please, go away. Go away. Curling into a ball and covering my ears, I hummed a tune Mother used to sing. The song always had a way of comforting me, but it never made the noise go away. As the noises faded, I released my knees. Exhaustion consumed me and I found sleep once more. I squirmed lower under my coverlet and yawned. Bodies shuffled and thumped in other rooms. Rubbing the sleep from my eyes, I shivered as frosty air pricked my bones. Outside my window, the sun glowed molten-gold through the cluster of gray clouds. Perhaps the night before had been a dream. Can one dream the same dream for months on end? 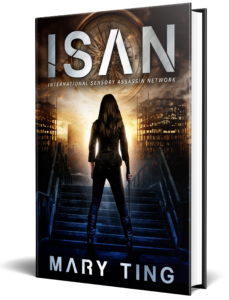 I swept the night’s occurrences to the back of my mind and pulled the bedclothes tighter. I shut my eyes against the light kissing my cheeks and thought only of rest until my chamber door creaked open. I sat up and clutched the coverlet, wishing to be honest with him about the nightmares. Swallowing the words, I gave him a sheepish smile. He had a belly full of worries and I did not wish to add mine. I would not have him think the devil damned my soul; Father’s belief would make it true. He’d aged right before my eyes. Even his garments—dark breeches and a forest-green tunic—drooped wearily, and his muddy black boots had cracked. Father’s thick eyelashes touched his ruddy face when he looked down. His rough hands, callused and dirty from labor, cradled his favorite tatty, brown hat, and he poked his finger through a hole in the top. “Are you well, Daughter?” The skin around his nut-brown eyes crinkled with concern, and his forehead creased. No. I hear monsters at night. Something is wrong with your daughter. I smiled when the aroma of fresh baked bread wafted through the door, but cringed at the sight of rat droppings on the white linens—gifts from vermin in the thatch that had fallen from the roof. Closing my eyes, I wished my lassitude away. “Nay. I need to dress first.” I plucked at my white chemise. “Certainly. Clothe yourself and eat some of your mother’s bread. I’ll be tending to the horses.” He ruffled my hair and shut the door behind him. Determined to begin the day afresh and forget the previous night, I took out a boy’s breeches and tunic from my chest. Mother had frowned when I wore them at first, but ceased when she grew tired of mending gowns. Father had been training me to use a sword and other weapons, so I had no choice but to dress accordingly. Our only neighbors were hills and forest—no townspeople to scandalize. Hunger pangs grew as I opened my chamber door. Just before I closed it behind me, I glanced about. I had smoothed the coverlet, shut the chest, and ensured nothing lay on the dirt floor. The small chamber left no room for a mess. Mother’s smile and sky-blue eyes warmed me better than the fire under the big kettle. A tankard of milk and a wooden trencher bearing a piece of bread with sweet butter had been set on the table. After I said grace, Mother tugged at my long, brown hair as I devoured my meal. Mother yanked back my bushy hair and worked it over with my favorite brush. I’d had it since I was a baby and always loved the vine carvings on the handle. Mother did not reply. I winced and yelped quietly as she pulled and twisted my hair, determined to produce a miracle. She captured two tight braids and secured them atop my head. Not a strand of hair strayed out of place, but the cool air tickled my bare nape. I shrugged away her compliments. “You’re my mother. You’re supposed to tell me lies to make me feel better.” I turned away and bit off a hunk of bread. Mother huffed and tended to the pot hanging over the fire. Stone by stone, Father had built the fireplace many years past. “Nay, finish your meal. Father awaits.” She stirred the previous night’s stew with a long wooden spoon. I swallowed my milk after finishing the delicious bread. I wanted to ask for more, but with winter approaching, I kept my lips sealed. “I am not, Mother.” I frowned and stood next to her as she dried another spoon. I’m adding this to my “To Read” pile, looks like a fantastic read so far.